”Have you got your own bag?” the checkout operator asked me late last year. I then explained that was deliberate. 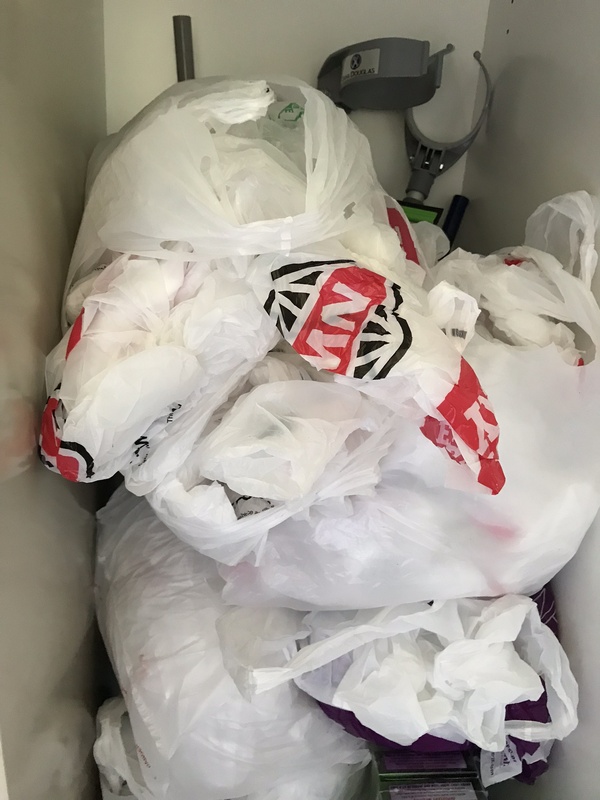 I used to bring my own most of the time but once I knew supermarkets wouldn’t be supplying the multi-use bags I left my own at home to stockpile the others to line rubbish bins, carry shoes when travelling and the other uses to which I put them. ”You’ll still be able to buy them,” she said. No wonder supermarkets aren’t at all worried by the bag ban. But what of customers? What happens when they‘ve forgotten their bags, or popped into the supermarket unexpectedly and didn’t have any, or buy more than their bags can contain? They might be able to put their groceries in one of the boxes most checkouts have, or they might buy less than they’d planned or they will just buy yet another bag. Customers might also wonder why they are being denied those very useful multi-use bags when so much of what the supermarket sells is covered in plastic, quite a lot of it unnecessarily. Why for instance do bananas come in plastic bags when nature provides them with skins that obviate the need for any other covering? That’s a question with no logical answer which isn’t surprising when so many supposedly green initiatives owe more to political posturing than logic or science. The question of what I’ll do when my stockpile of multi-use bags runs out does have an answer. I’ll do what I used to do before we had the multi-use bags – line my rubbish bins with newspaper. And will that do anything to make a meaningful difference to the plastic waste that ends up in oceans? Almost certainly not, when 93% of the plastic in the sea comes from just 10 rivers and you have to use alternative bags many, many times before the environmental impact of making and disposing of them is less than that of the multi-use ones supermarkets no longer supply. The Ministry for the environment notes that poorer people might not be able to afford to buy bags. The Government’s plastic bag ban could affect the poorest the hardest, according to advice from the Ministry for the Environment. To mitigate this problem, the ministry recommended people with Gold and Community services cards receive reusable bags for free. . . In other words, the bag ban could be greenwash, the impact of which will be worse than the problem it’s trying to solve. This entry was posted on Tuesday, January 8th, 2019 at 9:00 am and is filed under business, environment, food, politics. You can follow any responses to this entry through the RSS 2.0 feed. You can leave a response, or trackback from your own site.